Another palace day! 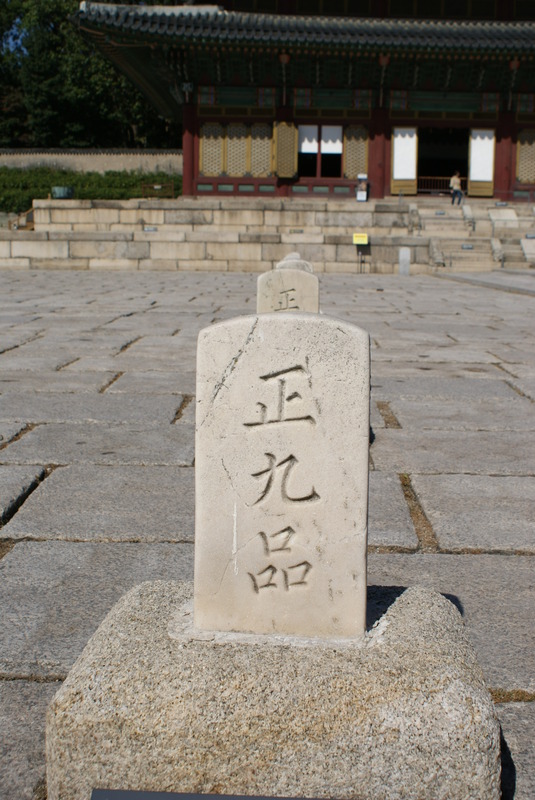 Changdeokgung was the second palace we visited in Korea. 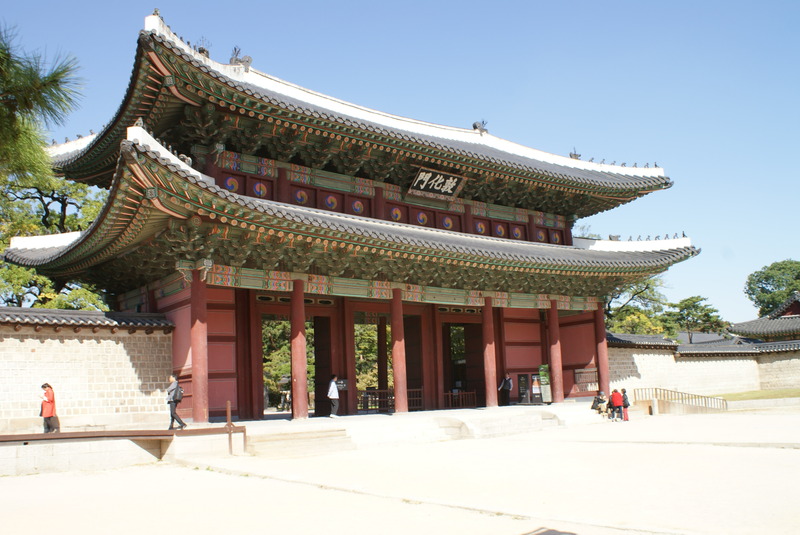 Between Changdeokgung and Gyeongbokgung palace, Changdeokgung ended up being my favorite out of the two. 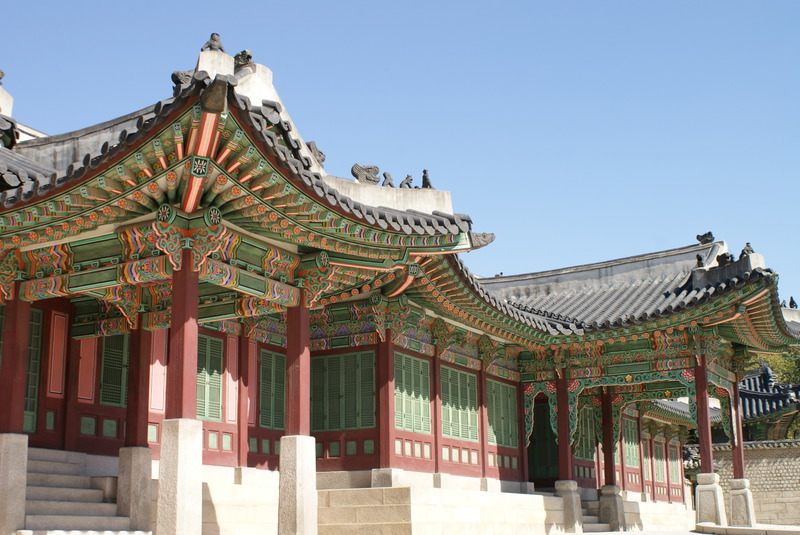 Maybe it was the different layout or feel of the rooms, but it felt more intimate than the sprawling Gyeongbokgung palace. Being a random weekday, it was nice because it didn’t end up being crowded at all. I was able to freely walk around & get snap happy with my DSLR camera. I ended up with some beautiful pictures to capture the moment. 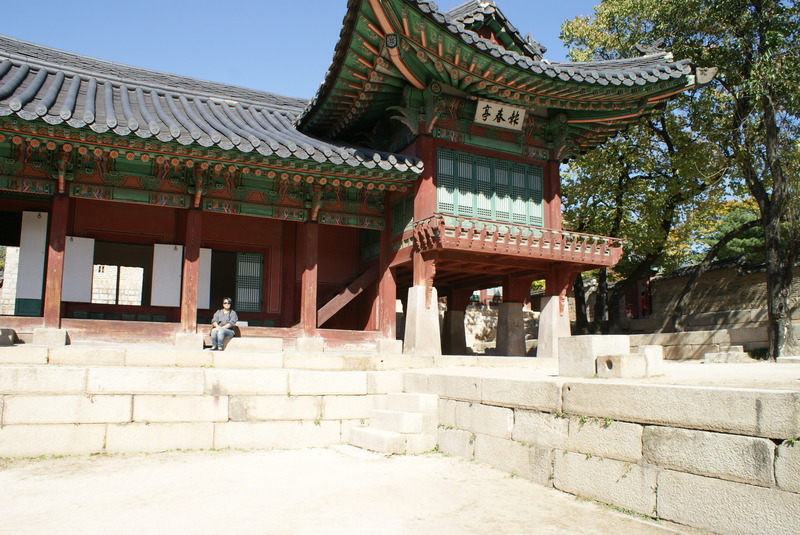 There was also an extra bonus; I was able to capture a lot of images without other tourists posing in the background! See how empty it was….. 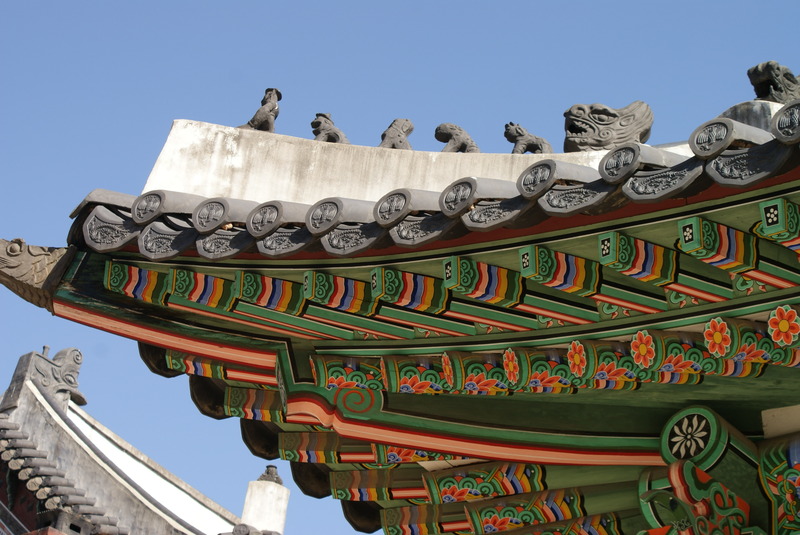 So when you visit Changdeokgung there are two different types of tickets you can purchase. 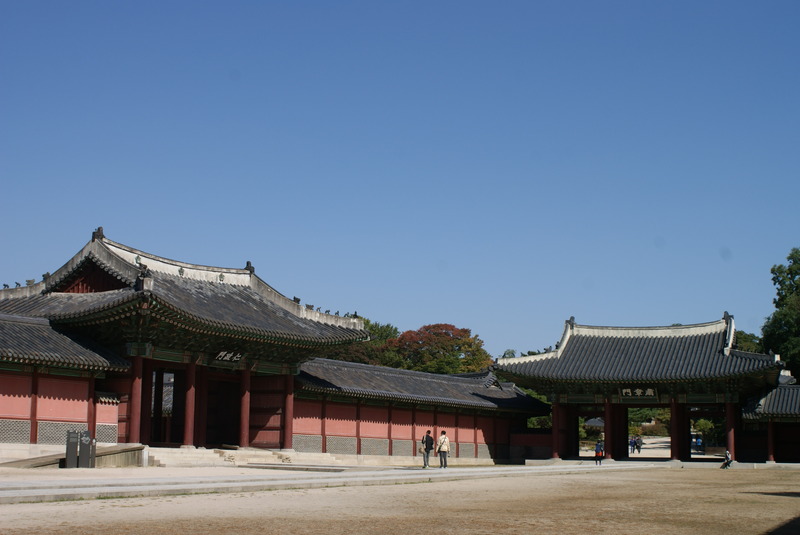 One just to enter the grounds and the other is for a combination palace grounds + secret garden tour. I didn’t end up having time for a tour of secret garden, but I did sneak a peek at one point & wish I had! It was just the beginning of fall (October), and some of the trees and leaves were starting to turn show some of their beautiful deep reds & rich yellows. I would have loved to see the type of garden a king would have enjoyed. 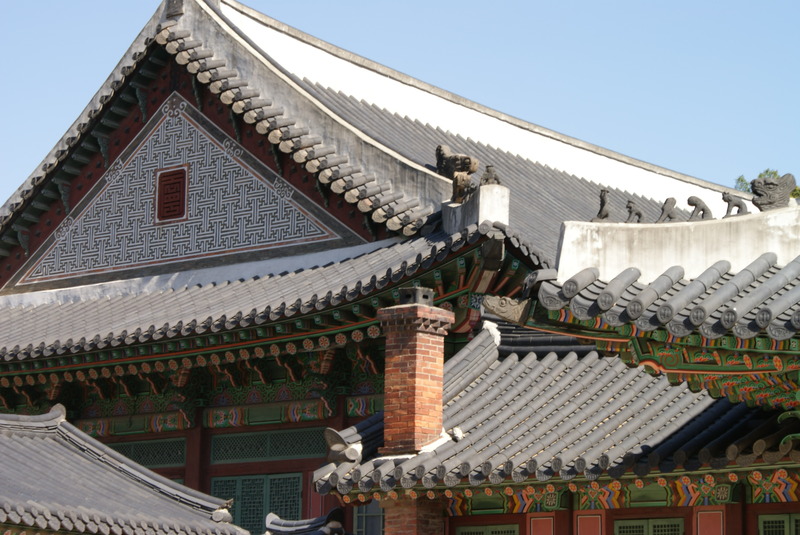 Now on to some history…..Changdeokgung was the second palace to be built after Gyeongbokgung, and is also known as the “East Palace” or “Palace of Prospering Virtue”. 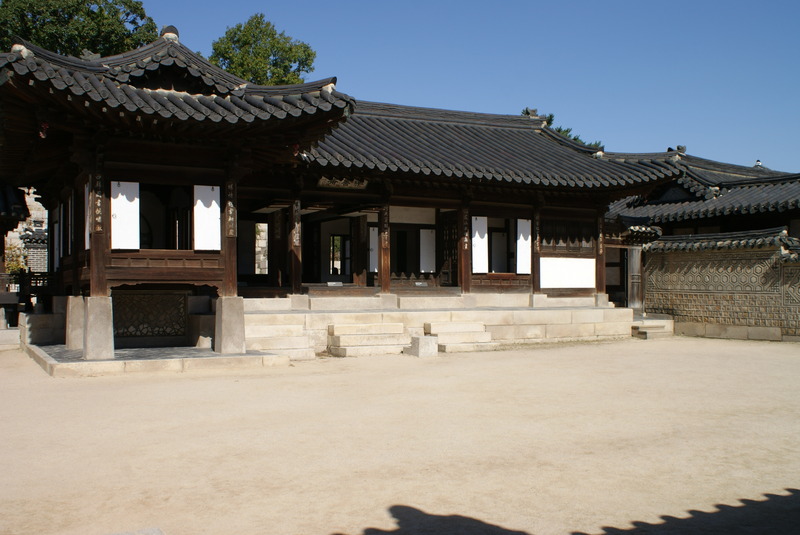 Throughout it’s history Changdeokgung was unfortunately partially destroyed, attacked, re-built, and then destroyed again. But as it stands now, it still evokes beauty & blends in so effortlessly with it’s surroundings. 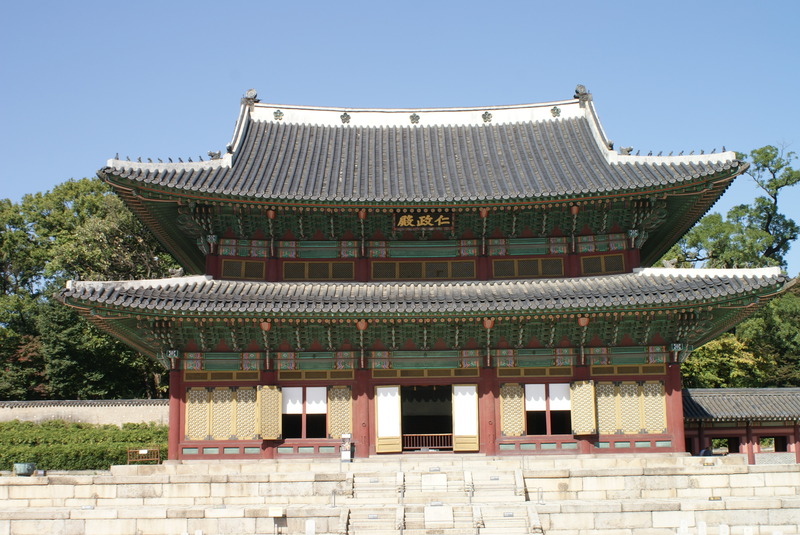 In comparison with Gyeongbokgung, Changdeokgung has a more private feeling to it. 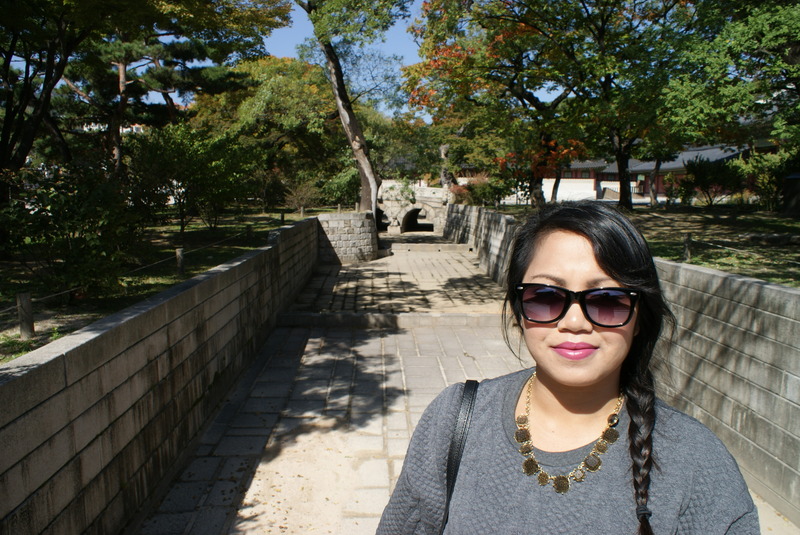 It feels more peaceful here because it’s really tucked away from a lot of modern day Seoul. Is it cheesy to say that it felt like being transported back in time?